The RBA cut rates again yesterday. Here’s three things you need to know. I’ve been getting a few questions about what yesterday’s rate cut means. There’s always a lot to these things. When I studied economics at University I came away with the idea that no one really knew what was going on. But I think there’s three things you need to know about yesterday’s cut to understand what it means for property. In a lot of ways, the RBA didn’t have much room to move here. On the face of it the Australian economy seems to be tracking pretty well. Growth is decent and unemployment remains low. On a lot of measures we’re still the envy of the world. There are some challenges on the horizon, sure. The transition from the mining boom has been helped out by an apartment construction boom, but that is beginning to unwind now. 12 to 18 months down the track that could put some pressure on the jobs numbers. So the RBA’s got an eye to the future here. But the key drivers of yesterday’s cut are things that are out of our control. The first is inflation, which has fallen to a 17 year low. That’s a big worry for an inflation-targeting central bank. But the reality is that we’re importing deflation. Each tech revolution drives prices lower and lower. And there are more countries around the world wrestling with deflation than there are countries tackling inflation these days. And the rest of the world still looks shaky. China in particular has less lustre than it did a few months ago. On top of that, central banks around the world continue to cut rates and print money – Australia is too small to go it alone there. What’s worse, the Aussie dollar continues to threaten go higher, which would undo all of this good work. As it would happen, the Aussie dollar ended the day slightly higher than it started, which would have really let the air out of the whoopee cushion at the RBA. At the end of the day, domestic interest rates just don’t have the muscle to protect us from a world that’s steadily deflating, or give us shelter from a global currency war. The RBA can only do what it can do, and for now, that’s 25 basis points. What are the banks playing at? So the major banks only passed on half of yesterday’s rate cute, or thereabouts. We’ve got used to the banks gouging out a little of each rate cut lately, but a full half raised a few eyebrows. They made no bones about the fact that it was about protecting profits and their shareholders. And this is where the action really is. Bank shares offer very generous yields, while at the same time their funding costs are rising. The only way they can maintain the return on equity is to skim a little off the rate cuts. And that’s what they did. They also announced they were increasing deposit rates, which made some financial planners happy. What does this have to do with the rate cut? Almost nothing, and at some point they would have had to increase deposit rates anyway because APRA is forcing them to source more funds domestically. So all it did was tack a good news story on to a day the banks new would be rough for P.R, trying to keep a lid on bubbling anger. So they all skimmed on the rate cuts, while they all increased deposit rates, within minutes of each other. I’d like a Royal Commission, thanks. What it means for the property market. With the banks taking their cut, and APRA limits still constricting the credit cycle, the net flow through for the property market isn’t going to be huge. What was interesting was that the RBA went to greater-than-usual lengths to let us know that it saw that the property cycle was slowing, and there was little risk of further rate cuts spiking prices or undermining the stability of the market. We had been getting mixed signals on the market. The RP data / Core Logic measure picked up after the May rate cut, while other measures saw growth trending lower. 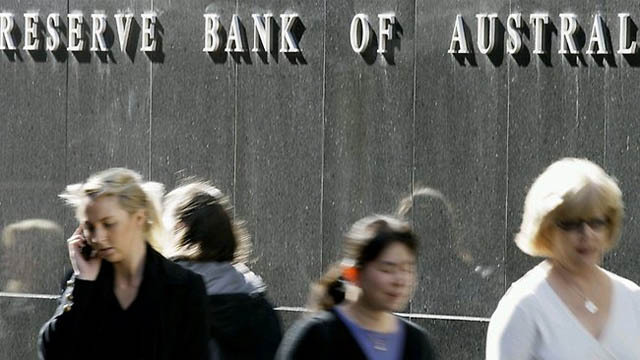 Some argued that the RBA shouldn’t cut, because it would only increase prices again. However, it increasingly looks like the RP Data measure is a little off (they adjusted their methodology in May), so the RBA is effectively saying, ignore that one. Its pretty clear that price growth continues to moderate, and the risks of rate cuts overheating the market are minimal. I think I’d agree with that assessment. Rate cuts matter, but only at the margin, and there are simply just bigger forces at play – the moderating cycle, the coming surge of apartment supply, APRA limits and Chinese buyers. When all of these factors are helping to bring price growth back to earth, rate cuts (or just 0.10 in some cases) isn’t going to make all that much difference. So in the end, definitely a positive, but hold your horses. I don’t think this means we’re looking at another bull run starting just yet. I think the cycle will moderate further, and I’d expect prices to plateau over the coming year. After that, the cycle should return, and prices will resume their historic upward trend. How quickly they rise will probably depend a lot on what’s going on overseas. What do you think the rate cut means?